After last week's Riddler-centric spring premiere, Edward Nygma (Cory Michael Smith) is nowhere to be seen in the follow-up episode. Instead, Gotham places more of its emphasis on the Court of Owls' impending plot as well as a surprising alliance ahead for Penguin (Robin Lord Taylor) and Ivy (Maggie Geha). 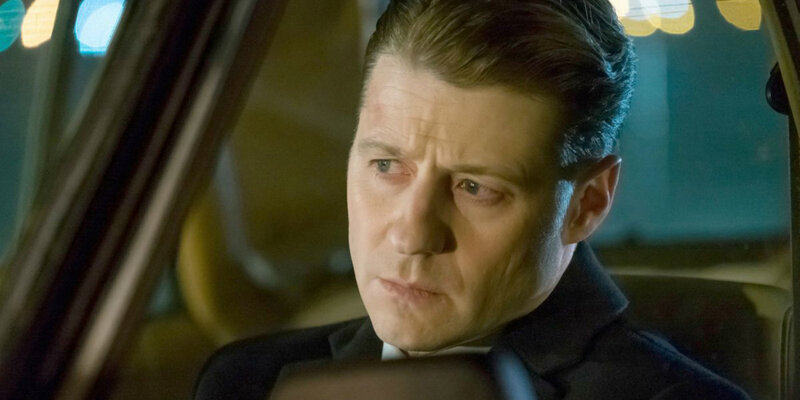 Despite the Heroes Rise heading leading this second half of season 3, it appears that the villains of Gotham show no signs of slowing down now. 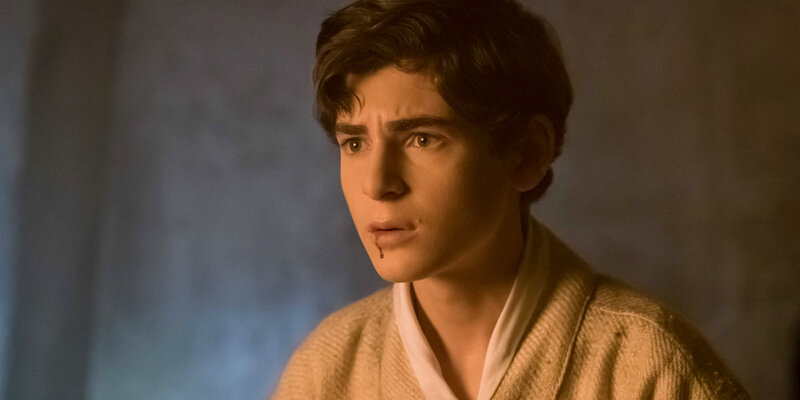 While "These Delicate and Dark Obsessions" very much feels like a transitional episode building into the tail end of the season, it does move some significant pieces into position for that final arc, leaving both Gordon (Ben McKenzie) and Bruce (David Mazouz) -- the two characters whose parallel journeys the show has hinged on since day one -- with some major decisions to make. The former even hops behind the camera for this round, as McKenzie makes his television directorial debut this week. Let's get into the episode in greater depth. As alluded to above, Gordon finds himself potentially becoming a member of the Court of Owls by the time the episode ends. With some mysterious weapon being prepared and his uncle having sacrificed his life so that Gordon may infiltrate the court, it seems inevitable for the future Gotham police commissioner to go undercover to prevent the destruction of his city. This week's discovery that the court was behind the death of his father should do the trick as far as emotional motivation for Gordon to actually go through with it. However, the idea that the Court of Owls was behind the death of both Gordon's father and Bruce's parents might be taking their respective journeys into the heroes we know they're destined to be a bit too far. Sure, pitting the Court of Owls (or whoever is really pulling the strings, we'll get to that in a second) as the series' Big Bad isn't itself a bad idea, but for them to have wronged Gordon and Bruce in exactly the same way feels like lazy writing. Twice before the court (or, again, some other organization) has apparently "laid waste to Gotham." So this should open up a ton of story possibilities. 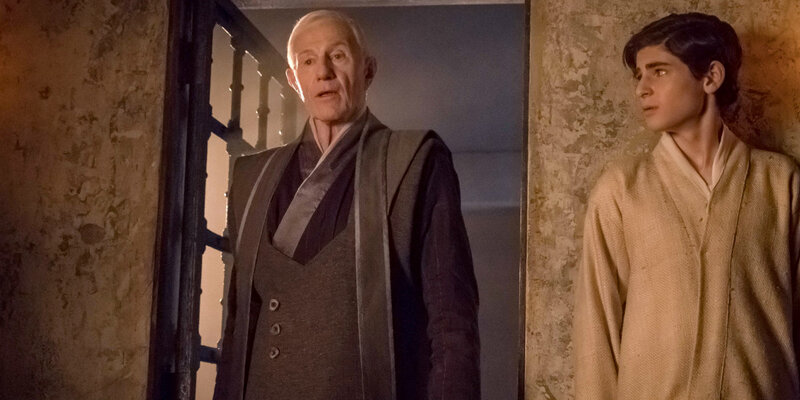 Both Gordon and Bruce share an inner darkness that needs to be tempered and channeled properly -- a fact that this week's scene with Lee (Morena Baccarin) nicely reminded us of -- but let's hope their connection develops in a more complex way than what we've heard so far. That being said, seeing Barbara (Erin Richards) in charge is way more fun than it should be, considering what a mixed bag the character has been over the years. Even though it breaks heavily from canon, can Gotham just make her Harley Quinn already? With any luck, however the Court of Owls storyline develops, it will envelop the entire cast, giving the Sirens a vital role to play. Knowing the crazy work that Hugo Strange was up to at Indian Hill, a weapon that originated there could literally be anything (or anyone). Those who have been eager to see Bruce take some more decisive steps toward the cowl should be pleased with how season 3 is progressing. At this point, it's all but inevitable that the Court of Owls will be revealed as an arm of the League of Shadows. The mysterious man who Bruce discovers when he awakes admits to as much, and it doesn't take long for Bruce to determine that emo Bruce has been left to take up his place at Wayne Manor. The rationale remains to be seen, but if it is indeed the League of Shadows behind all this -- a development supported by the imminent appearance of Ra's al Ghul -- the organization may actually intend to recruit Bruce to their cause, as they have in previous versions of the Batman mythos. Though Bruce has not traditionally started his training this young before, Gotham could introduce the League of Shadows now, only to have Bruce reject joining their ranks now and reach out to them closer to the end of the series. Of course, that series finale may be coming sooner than expected, but it stands to reason that the show would hedge its bets and bring the League of Shadows into play. Besides, shadowy organizations don't get much more iconic than Ra's al Ghul and his crew, and Gotham is bound to run out of layers to peel back of the conspiracy behind the Waynes' death. Now feels like the right time to shift focus off of Bruce's attempts to resolve that unsolved mystery and move onto the mission ahead. As the robed man himself says, Bruce needs to "become a symbol against fear." Only then, "Gotham can be reborn." If season 3 is intent on bringing the mystical into the mix in the same way season 2 built science fiction into the crime saga of season 1, then the stage is already set for Gotham to finally become the true origin story of Batman that fans were likely hoping for from the beginning. Penguin and Riddler started the season as the best villain team-up Gotham had seen in ages, but judging by this week's events, it's possible that Penguin could strike just as fun of a partnership with Ivy. It's a wise move on the part of the show's writing team, since Ivy has basically been a non-factor in the season. Despite all the hubbub surrounding the show recasting the role, Geha has had precious little to do since joining the cast. Here's hoping that the "crazy plant lady" (Penguin's words, not ours) brings a much-needed spark to the screen on a more consistent basis going forward. Last season Gotham went all-in on the classic Batman villains, and the idea of an uneasy alliance between Penguin and Ivy has a ton of potential. If we were Penguin though, we definitely wouldn't trust the wily redhead. After all, in the comics, Ivy is a key member of the Gotham City Sirens. So, it's damn near a certainty that she'll wind up working with Barbara (aka Harley? ), Tabitha (aka Tigress) and Selina (aka Catwoman) in no time at all. Ivy has already proven her street smarts by warning Penguin that Gabe (Alex Corrado) couldn't be trusted. In one fell swoop, the show made her a stronger character by simply contrasting her personality with that of Penguin. The latter always has been prone to underestimating his muscle, only to have their loyalty be far less than unshakeable. 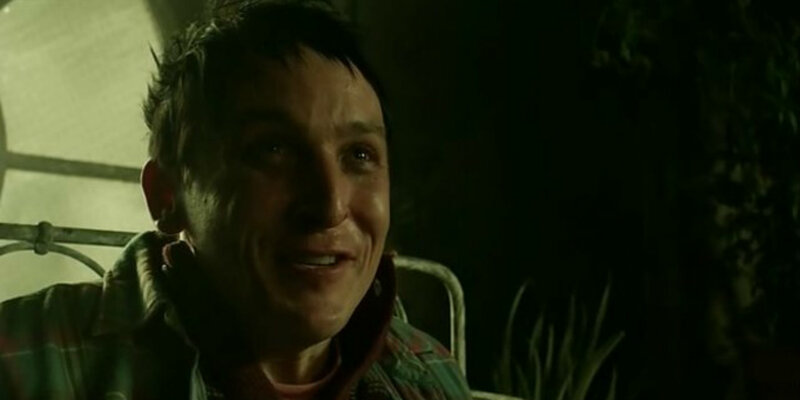 In addition, Penguin's rage-filled reaction to being called a "freak" was a neat callback to his season 1 arc and helped him connect to Ivy, since they've both been treated as such. More Penguin and Ivy -- and their army of "freaks" -- please. Gotham returns next Monday with ‘The Primal Riddle’ at 8pm on FOX.